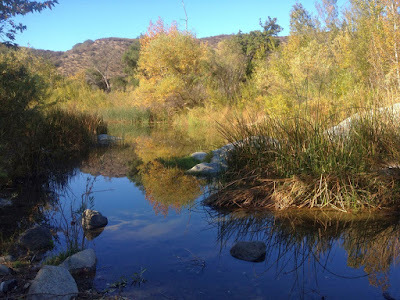 A Little History on the Area: The preserve was acquired in 1992, as part of the County of San Diego's Multiple Species Conservation Program, to preserve the area’s natural habitat and scenery. After the 2002 Gavilan Fire, the preserve was quickly restored for public access and use. Currently, the public has access to the beautiful trails in the preserve (from 8 a.m. to 30 minutes before sunset each day, when the park is open) for all sorts of outdoor activities, such as horseback riding, hiking, mountain biking, and walking. You can stroll by the rushing river in the preserve, watch the birds and even spot larger animals, like deer, drinking from the river. About The Controversy: This land is currently owned by the Fallbrook Public Utilities District (FPUD) and is in the process of being sold. General manager Brian Brady of the FPUD announced that FPUD was selling the property to the Western Rivers Conservancy, in an effort to preserve the land for the long-term. This Conservancy would contribute $5.5 million along with a $5 million contribution by Marine Base Camp Pendleton to make the preserve into a permanent conservation easement. This deal is still in the process of going through. However, as of yet, there’s no specific legal easement on the deed that ensures non-motorized public trail use, such as hiking or horseback riding, throughout the river valley property. 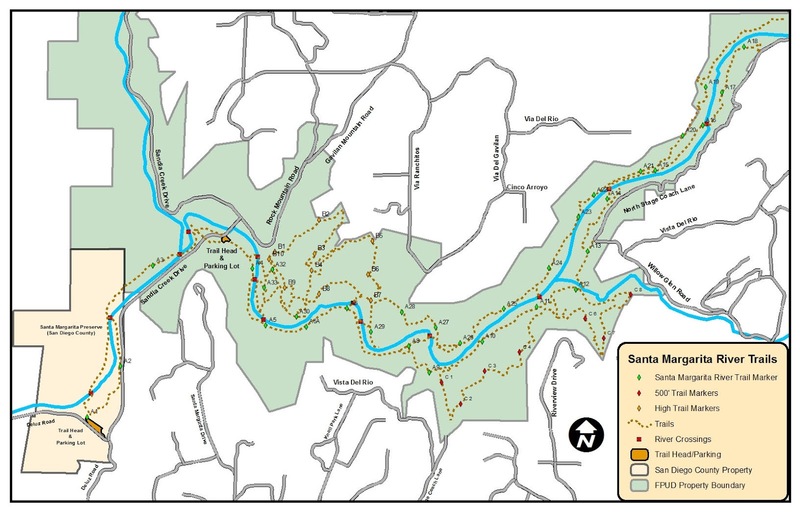 Local citizens want to show their support for the preservation of the trails and for having this floating easement to allow continued public access to the preserve. The picture below is a trail map of the preserve. To show support for the continued public use and maintenance of this long-standing San Diego trail, it takes 30 seconds to sign the petition. You can also show support by reaching out to the FPUD. They have a board meeting each month, where members of the public are invited to come and voice their opinions. The next FPUD (water district) board meeting is on March 22nd at 4 PM at their headquarters: 990 E Mission Rd Fallbrook CA 92028, where they’ll be making more decisions on this topic.